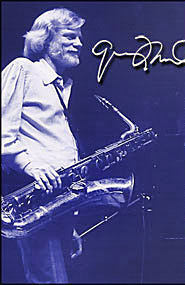 "Gerry Mulligan occupies a unique place in the American musical scene. As composer, arranger, saxophonist and conductor, he played a vital role in the history of modern jazz and contemporary music. As one of the great jazz innovators, his writing and playing influenced entire stylistic movements, including both "cool jazz" and "bossa nova." He also wrote for Musicals, Chamber Orchestra and Symphony Orchestra."